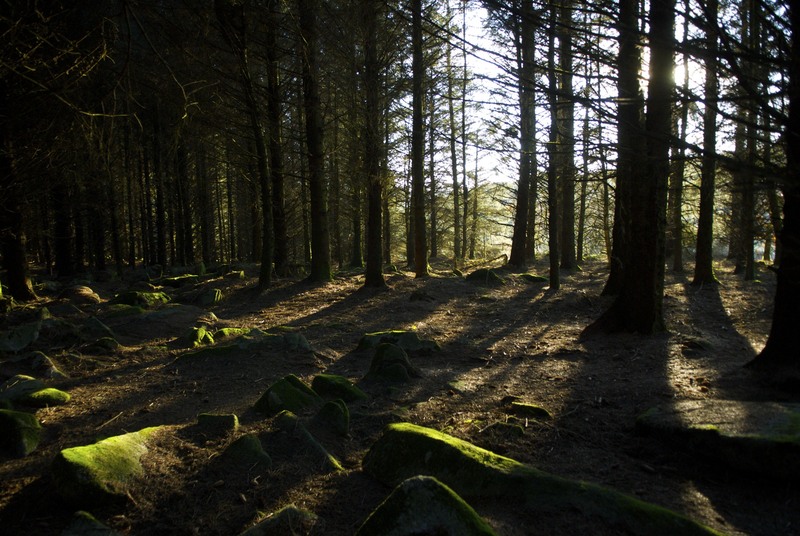 There are places on the moor where clumps of trees stand so tightly together that it is possible to step in through an opening and find yourself in a dark place with no light. Moss covers the rocks that line the forest floor, but you cannot see the beauty of the green or even your way clearly, without the light that sometimes manages to find its way in. Your words and support over the last few days have been like a light in the forest working your way into my dark places. We think so often that we are strong on our own and there have many times when I have had to be, but the kind way in which you reached out to me through your comments was deeply appreciated and something I needed. It meant a great deal to me and I wanted to be sure you knew what a difference it made. Thank you . This entry was posted in Memories, One Word - Encourage and tagged Appreciation, Bodmin Moor, Darkness, Emerson, Gifts Of The Journey, Gratitude. Bookmark the permalink. I’m still quite astounded how blogging has introduced me to a new group of women that I otherwise may never have got to know. We may never meet in the flesh but there seems to be a very genuine caring and friendship growing amongst the blogging and commenting. The fact that you feel supported in recent days is all the reason any of us should ever need to carry on with our writing, our reading and our reaching out to each other through our blogs. I agree with Gina. Mainly, I am so happy you reached out as you did — your remembrances of Marilyn and your thoughts for Ray’s loss (as well as yours and John’s) *allowed* us to be there for you. What you put out there in the universe in her memory is a thing of beauty. Keep looking for the light between those trees. I think people need human contact, be it face to face or blog or written note. A blog gives us an immediacy other means don’t over a distance. As you say, Gina, that means that people who otherwise would never have met, come in contact. I also think that the smaller the world gets, the more frenetic it becomes and the more that contact is needed. Tough balance to strike when it’s so public, but I think blogging has a unique and important role to play. I feel like I’ve been in church this week, Elizabeth – in a good way. First, I want to thank you for the kind comment you left on my blog this morning. Your words mean a lot, especially in view of the fact that you’ve recently faced some “dark places” yourself, as you’ve noted in your post here and previously. Like you, I am touched and honored by the people I’ve “met” through these online conversations. It is always a blessing to meet kindred spirits. Thank you.